Brass Calibrator for Concrete Pressure Meters - Gilson Co. - Gilson Co.
HM-24 Brass Calibrator for concrete air meters provides a speedy check for accuracy of concrete pressure meters in the field. It is made of precisely-machined brass and has a 0.5in (13mm) thick base. 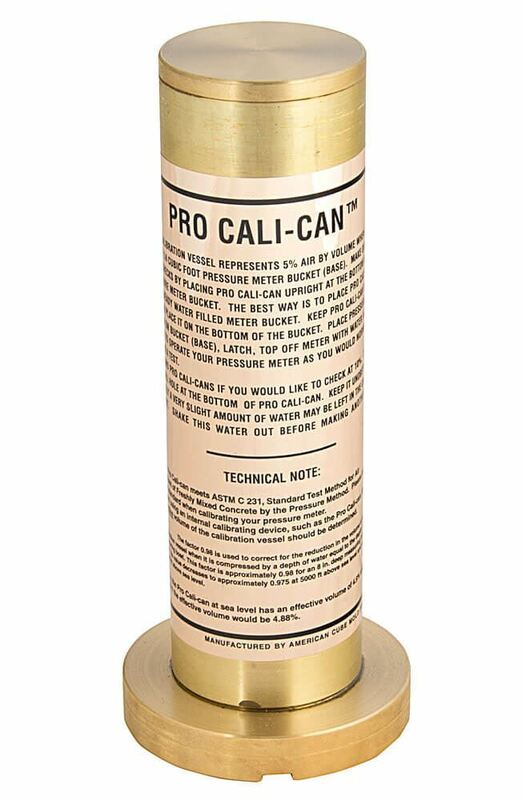 With a calibrator in the water-filled base, the air meter gauge should read 5% air. Two calibrators can be used in a 0.25ft³ meter for a 10% air reading. Product Dimensions 7.5 x 2.125in (191 x 54mm), HxDia.